Order errors are maybe the one part of warehousing that’s just as frustrating for the warehouse as it is the customer. Nobody likes their order to show up incorrect—from retailers that need their correct product allocation to sell back to consumers, to individual customers that were expecting a certain product. At worst it can lose you repeat business, and at best you can find yourself inundated with returns and the need to repeat orders (and get them right the second time). Where do most order errors come from? While there’s a lot of factors along the way that can affect order accuracy, the most likely culprit is errors in the picking process. We’re only human, and everyone makes mistakes sometimes, but the hard truth is that due to how many orders are received and processed via software, if there’s an error with an order (that the customer themselves didn’t make in the first place) the error was likely caused by a mistake along the way. There’s a number of reasons for this, but most of the time it was a simple mistake in picking. The wrong order was checked, the wrong item was picked, the wrong barcode was scanned. Simple enough, right? It happens to everyone, but if these mistakes keep piling up it could be a sign of a greater failing elsewhere in your picking processes. The solution, then, is to carefully review your picking processes and make sure everything is going smoothly. For example, does your warehouse rely on handheld barcode scanners to track items and identify what needs to go into what orders and shipments? In a lot of cases, these barcodes need to be placed on your installations like pallet racks and wire shelving, but an error in these barcodes can cause issues throughout the entire order handling process. 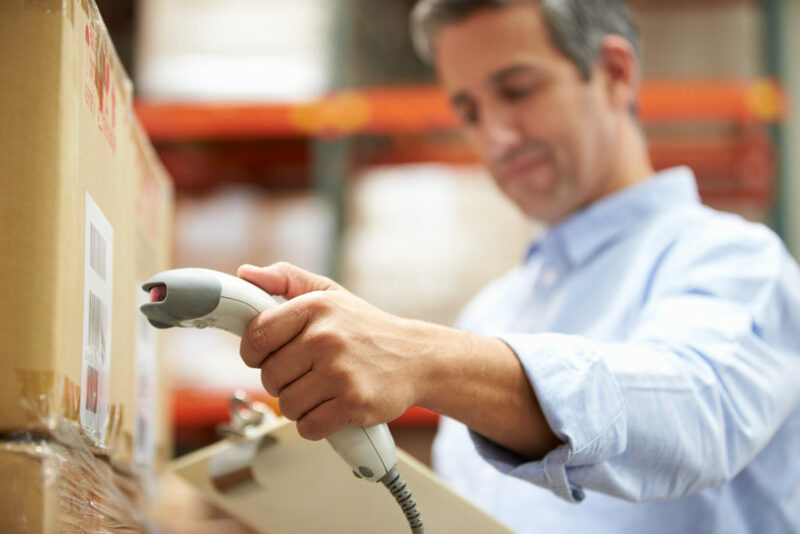 If item quantity errors continue to influence your picking routines and affect your order accuracy, you may need to start reviewing your item placement and make sure your barcodes are accurate, as well as your internal inventory counts. Similarly, if the barcodes are in place but are being fed incorrect information through simple human error (mis-scans, miscounts, etc), you may need to implement additional quality checks along the way. While barcoding is the industry standard, it works more as a quick ‘first check’ than it can for a long-term solution to accuracy. Implement secondary scans at important points along the shipping process to make sure the order remains accurate through the various ‘touches’ it receives. This can include RFID scans, bridge scans, double-checks at the shipping area, and more. These processes aren’t too difficult to implement and will catch the vast majority of potential order errors before they’re on the truck and headed to the customer. Finally, a review of item storage may be in order. If certain items are consistently a problem, it may be due to something like access or labeling. Take a look at the warehouse shelves you use and make sure everything fits in a way that lets them be easily accessed, scanned, and picked by workers. In cases of longer product movement systems like gravity conveyors, you may be able to better relocate and implement these conveyors to get product directly to the picking area and reduce the risk of human error or miscount along the way. Reducing the amount of touches an order receives is never a bad thing, and can help your warehouse more overall. By keeping an eye on your picking methods, you can prevent errors in your orders and keep your products moving more smoothly through the entire warehouse—and in the long run, everyone will benefit from it.